The Governors Youth Turkey Hunt has been a very successful event over the last 10 years and serves both as a celebration of Missouri’s leading role in providing outdoor recreational opportunity as well as recruiting and retaining additional outdoor enthusiasts. 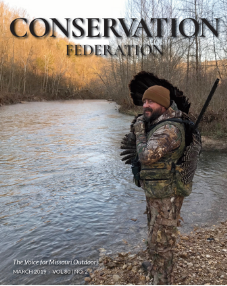 This hunt is a cooperative effort between Governor Mike Parson, the Conservation Federation of Missouri, National Wild Turkey Federation, the Missouri Department of Conservation, elected officials from the capitol, and a host of private landowners and other volunteers. In the spirit of what the Governors Youth Hunt represents, qualified applicants should be youths ages 11 to 15 that, ideally, are interested in giving hunting a try but have not yet had the opportunity. 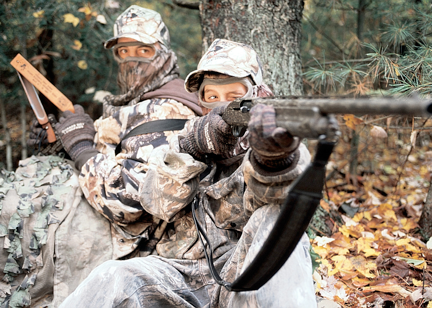 Second priority, if openings exist, will be given to youth that may have previously hunted but are giving turkey hunting a shot for the first time. The format for the 2019 hunt will be the same as in the previous 10 years. Successful applicants will be invited to attend an orientation Friday afternoon that will include hunter safety, regulations, and a chance to shoot their shotguns. Friday night, the hunters and their chaperones will then attend a fancy spread at the mansion hosted by the Governor and first lady. After the meal and a few words from the Governor, the hunters will depart for their hunting destinations consisting of several high quality properties offered for the event by gracious landowners. The youth hunters will then be guided on a turkey hunt Saturday and Sunday if need be. If you think that you may know of a youth that may enjoy this once in a lifetime opportunity, fill out the application Missouri Governors Youth Hunt application HERE.